One of the best cladding material in Chicago is brick as it can easily stand up to the Chicago heavy wind or storm. It requires low maintenance and care and stays looking new for a long time than other cladding options. But, if the bricks of your Chicago property are cracking, it can be a blemish and can result in larger structural problems. Cracks in bricks are usually caused by both external or internal pressure. Brick cracks are not only limited to an aesthetic issue, but it’s a dangerous sign of larger foundation damage. Well, there are good solutions that can work well to get it repaired, but the right solution depends on the extent of the damage. 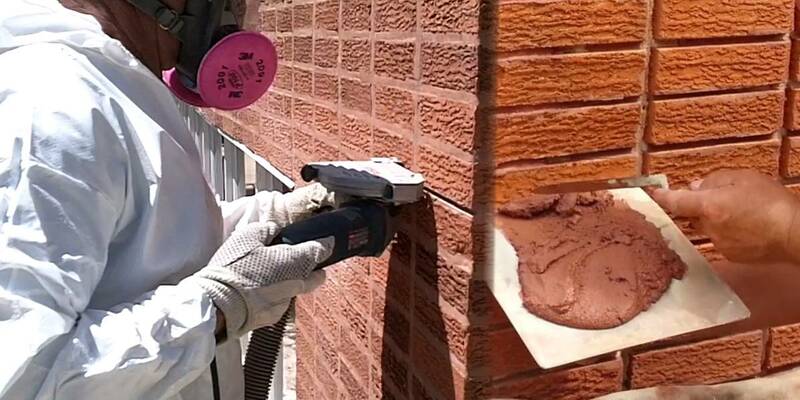 Brick crack repair is one of the common exterior home repairs. For both aesthetic and safety purposes, it’s better to deal with exterior home repairs as soon as you can. WHAT ARE VARIOUS FACTORS THAT CAUSES CRACKS IN BRICKS? The thermal expansion of walls can also cause cracks to form in bricks. In case you notice crumbing or cracked brick walls, it’s very important to talk to a professional as early as possible to assess the extent of the damage. If the problem is an unstable foundation, it’s a sign that you must take necessary steps to get it fixed. Is just single brick cracked or you notice a pattern of cracked bricks on a wall? The answer will tell in regards to the extent and type of damage you are looking at. HORIZONTAL BRICK CRACKS: Brick cracks moving in a horizontal al direction is a common symptom of foundation failure. It clearly means that wall has already started to fail. Horizontal brick cracks occur if something like a wind in the dirt is pushed against the wall, it can also result by bad quality soil beneath the foundation. If left ignored, horizontal cracks can increase until the wall fall down. VERTICAL BRICK CRACKS: Vertical brick cracks are other common sign of foundation failure. This indicates that the building is shifting from its place. The major cause of these cracks is the changes in soil. STAIR-STEP BRICK CRACKS: In case you notice brick cracks are following a stair-step pattern, it indicates that your home is unevenly settling. So, if the bricks are cracked because of any of the above given foundational issues, don’t wait and get the underlying issue fixed by a professional ASAP. Do not try to address these issues by yourself, as it can result in potentially dangerous and serious issues.